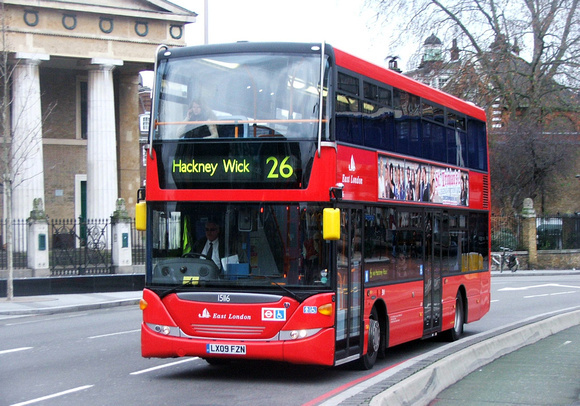 This Route was introduced to replace the withdrawn section of Route 6 between Aldwych and Hackney Wick. 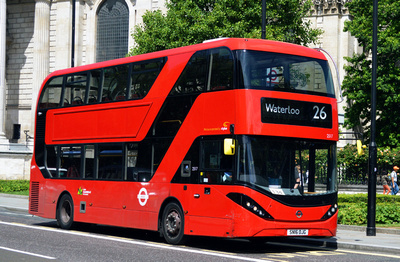 Scanias replaced by all Leyland Titans. Allocation transferred from WH to Bow (BW). The gap at WH was filled by the 15. 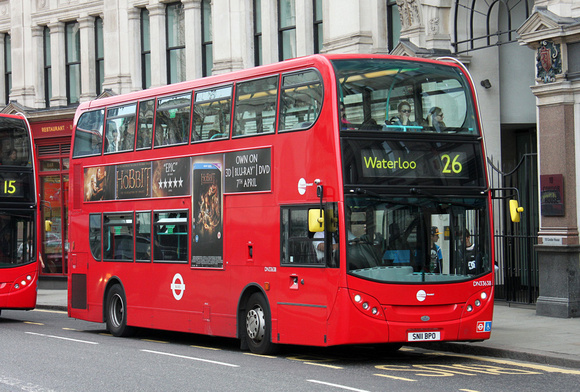 This was a cost cutting exercise to reduce dead mileage and travelling times for drivers. 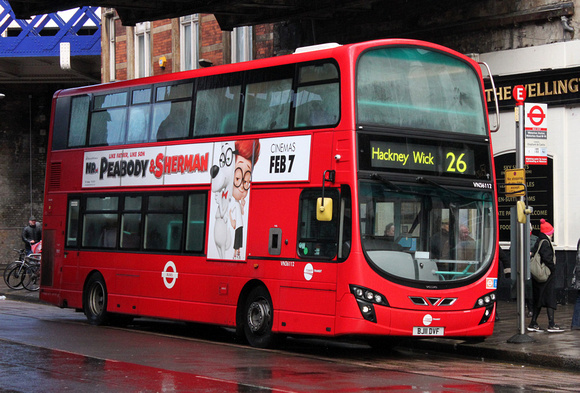 The Hackney Wick terminal has been altered back to Eastway instead of Chapman Road by TFL to coincide with the night bus which follows 20 mins after the last day 26.